Hello ladies! 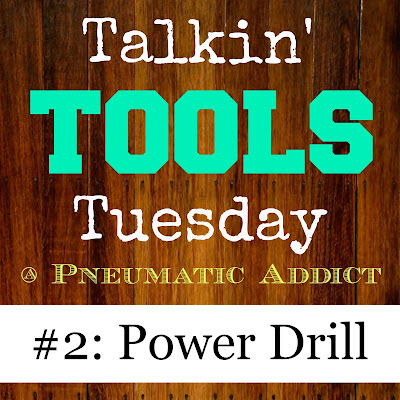 I'm back again for Talkin' Tools week number #2. This week, I'll be discussing hand-held, power drills (different kinds, functions, pros/cons). 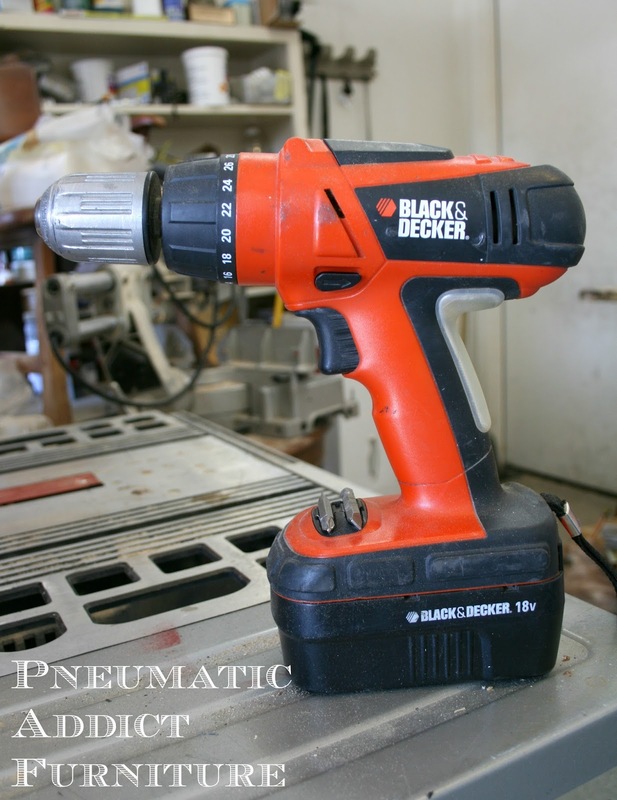 I imagine most households have a power drill, if not, I would recommend you make it your first power tool purchase. They are so helpful for a number of projects (home decor, crafts, wood working, etc.) I have 4 drills that I use regularly, I'll start by showing them. 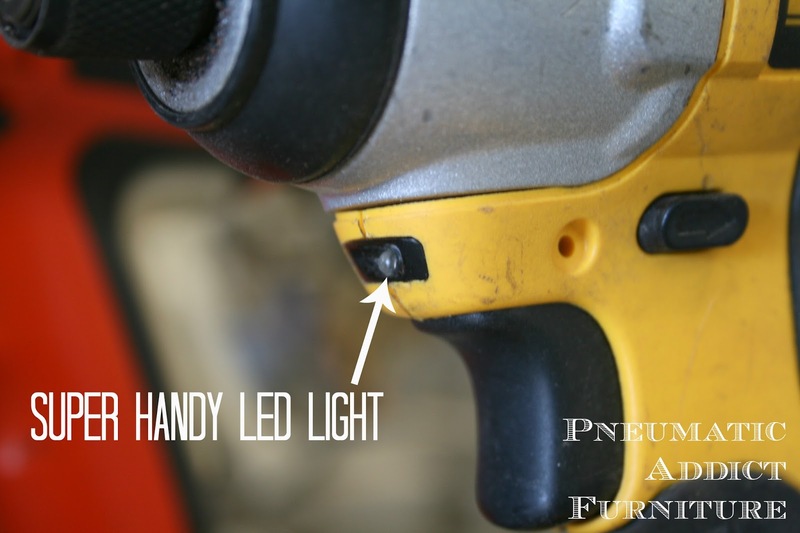 The primary functions I use mine for are driving screws, and drilling holes, although you can find a lot of attachments for other tasks such as mixing paint, buffing wax or brushing off rust. First, is my corded drill. Yes, they still make these. Although I don't use it often, there are times when I am going to be drilling LOTS of holes and I don't want to have to worry about switching batteries or waiting for them to charge. Also, this puppy has some serious speed and torque! 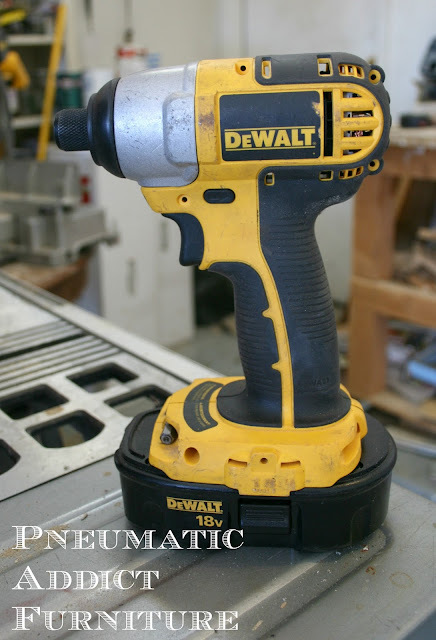 It spins at a maximum 3000 RPM (rotations per minute), where a normal, 18 volt cordless drill is in the 900-1200 RPM range. The second most used drill in my garage is my Black and Decker 18 volt, cordless drill. This is my go-to drill for basic use. The batteries have long life, and its gel grip makes it comfortable to use. I have an 18 volt, Ryobi drill that came in a kit we bought when we were first married. Its a good basic drill but my Ryobi batteries are pretty much toast, so I don't often use this one anymore. And last but DEFINITELY not least, is my DeWalt, cordless impact driver. Though technically not a drill, it is one of my favorite tools I have ever used! 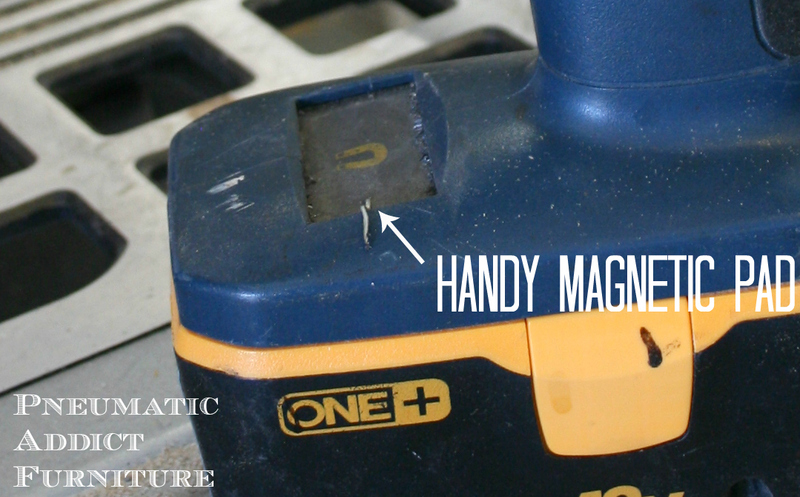 I LOVE the smaller size, lighter weight, and MASSIVE power that this little tool packs into such a small package. If you have never used an impact driver, you seriously need to go to your home improvement store and try out the display! Honestly, this is the only drill I ever want to use again! It does have a couple, small drawbacks, which I'll touch on later. Almost every brand makes an impact driver now and I was told specifically from the Kreg Jig rep at Haven, that they are safe to use with their system. 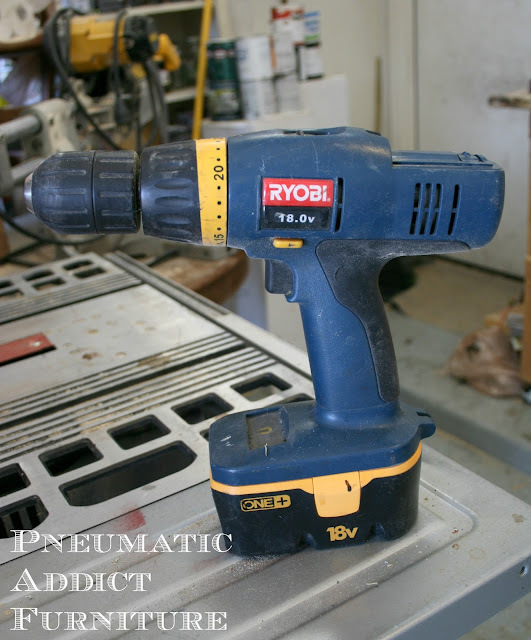 Even more powerful is a hammer drill. I don't personally own one, but my husband uses one almost daily at work. 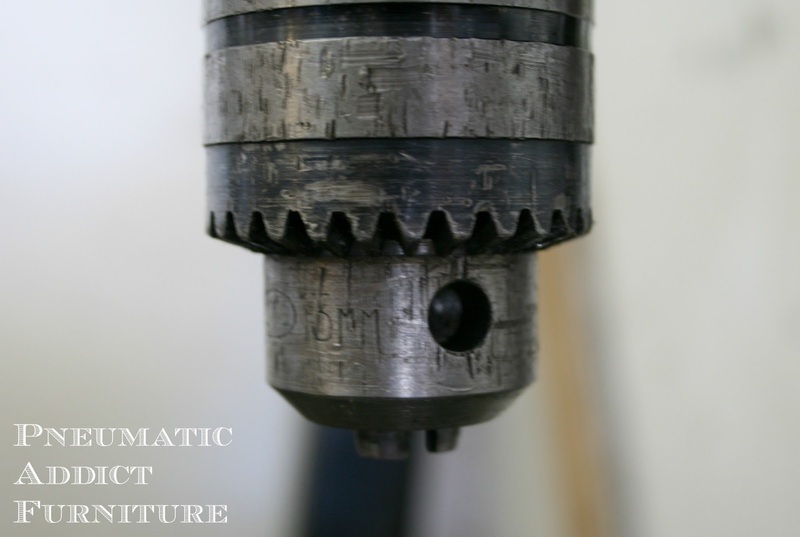 They are primarily intended to drive large screws or bolts into dense material such as stone, concrete, and large beams. 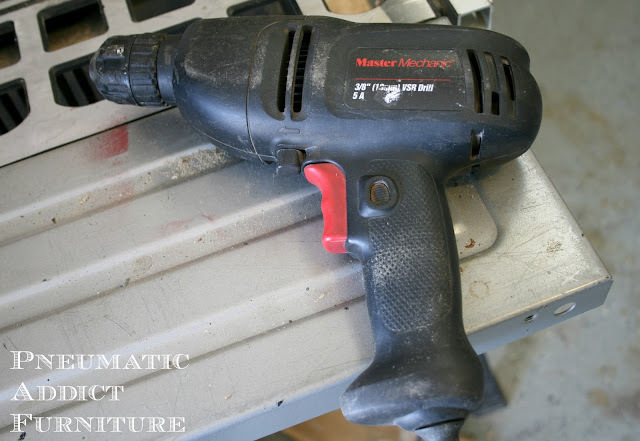 You can read about the differences between a hammer drill and an impact driver here. Let's talk chucks. What is a chuck? (No, not a woodchuck or a guy named Charles) A chuck is the place on a drill that you insert your bit, driver, or other attachment. This is what a "key-less chuck" looks like. Its easy to use. The three metal prongs you see inside hold your bit. Spin the barrel to the left to open the prongs wider, insert the bit, then spin the barrel to the right to tighten it. I have had this kind of chuck open when using a lot of pressure in reverse, but typically it works like a champ! I have never personally seen a hand-held drill with a "keyed chuck", but I'm sure they still make them. This is the "keyed chuck" on my husband's drill press. 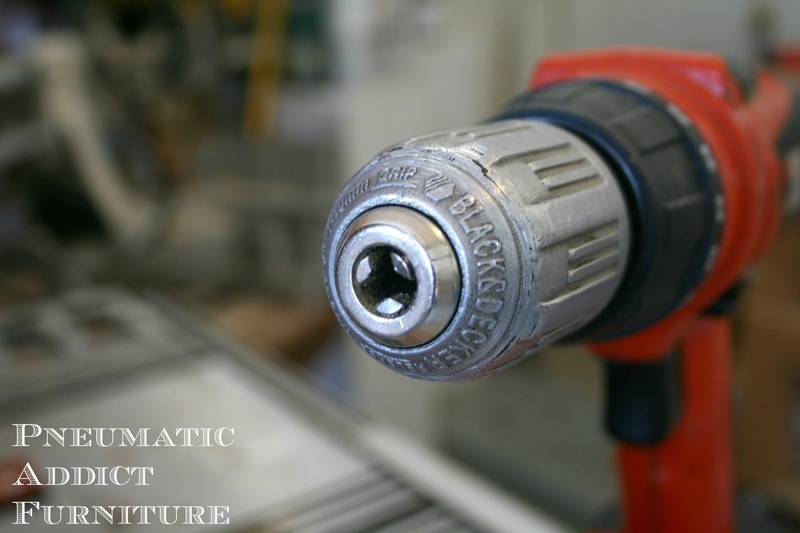 Just as the name implies, it requires a key that is inserted into the hole, lined up with the metal teeth above and twisted to tighten/loosen the prongs. Not very convenient, but holds bits EXTREMELY tightly. The third type of chuck is a "quick connect" collet. The name says it all. 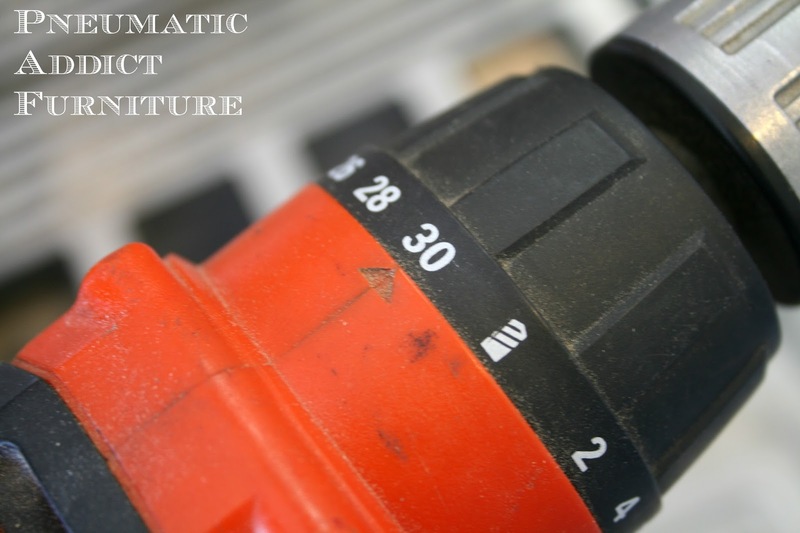 It is the fastest way to insert a bit or attachment. It's awesome. To open it, pull the outer sleeve forward, insert your bit, and let the sleeve slide back. The downsides of this kind of chuck are that they usually can only accommodate a hex-head bit, and only in a small range of sizes. You can buy adapters and larger "quick connects". Now for the direction selector. 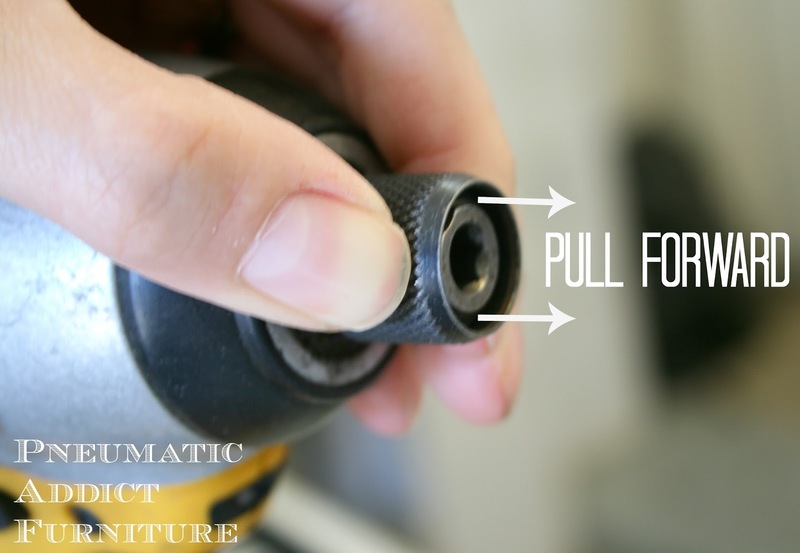 On most drills, there is a button or lever right above the trigger that selects which direction the drill spins. Think back to kindergarten. "Righty-tighty, Lefty-loosey". There are 3 settings: clockwise, locked, and counter-clockwise. Use clockwise to drive screws, or drill and counter clockwise to back out screws. Some drills, but not all, have a speed selector. You can adjust the speed of the drill by the varying the amount of pressure on the trigger, but the speed selector is nice for repeated drilling/driving. 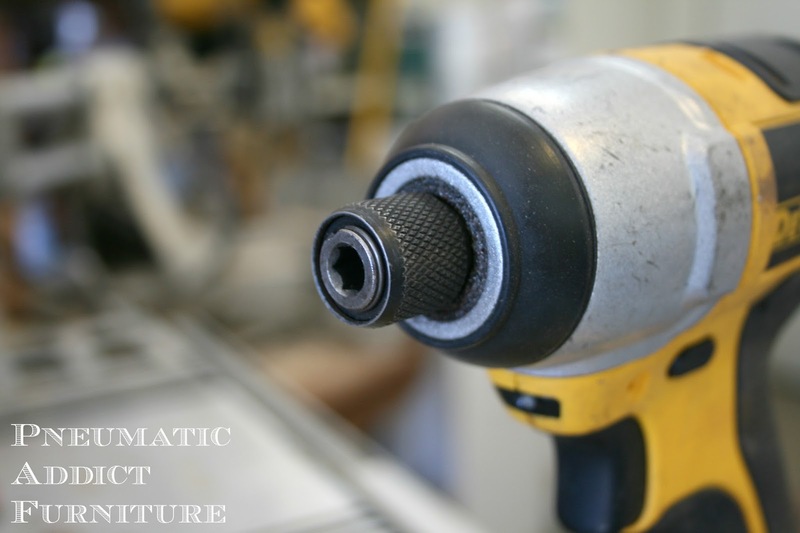 I recommend using a high drill speed, with low pressure when drilling into wood to avoid blow-out. You want to use a slower speed with more pressure for drilling metal. 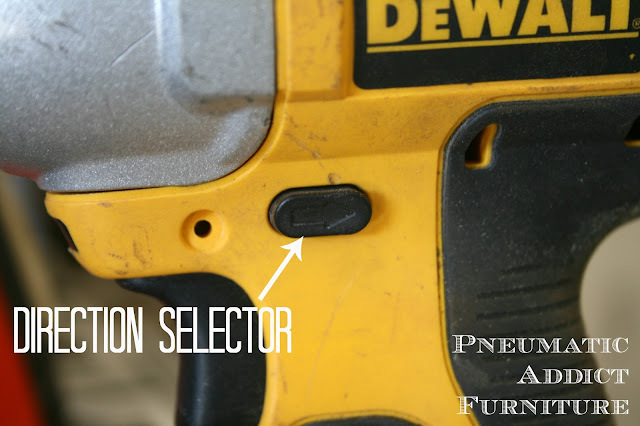 I will often slow my drill speed down when driving screws to avoid stripping the heads. Have a really difficult screw to drive/loosen? Use an impact driver. That is what they are designed for and they are life-savers! I promise you, you will be thrilled after using one! And my DeWalt has a super handy LED light that turns on when you squeeze the trigger. Such a useful feature when assembling furniture! I have not been sponsored by any of these companies. As you can see, I use a variety of different brands of power drills, and they each have their pros and cons. Hopefully, this information will make you more comfortable with your own drill, or inspire you to make a new purchase. If you have any other questions or comments, please let me know! I just wanna be you. We are RYOBI tool fans around here! Thanks for the tips and for sharing at DIY Sunday Showcase. All the power tools like electric router, marble cutter,angel grinder, woodworking machines are so useful and makes work so easy, convenient and creative. Thanks for sharing this wonderful blog post. These tools are helping hand to make do work graceful and earlier. Wow! So much inspiration throughout your entire blog, great ideas and tips! Good review. I have read your article post. Thank's for sharing & tips with us. I will try visit this site again. Thanks for your review on this tool. Great information on Power Drill. I needed to get something for my dad because he often do a lot of DIY projects. Now I guess I found it! I have 4 drills that I use regularly, like you. Thanks for sharing your experiences. That's a nice tip. It is a good idea to decorate my bedroom. It will be my next project. Thanks. This is really helpful! I showed this to my wife and she said she learned better through this rather than ask me!